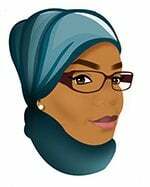 Sponsored Post: This post is sponsored by Pepperidge Farm but the content and opinions expressed here are my own. Lentil Vegetable Soup – Making this vegetable soup is a great way to consume different types of vegetables and enjoy it too. A healthy soup that takes little time to prepare yet have an amazing and delicious flavor that will make you enjoy every sip. 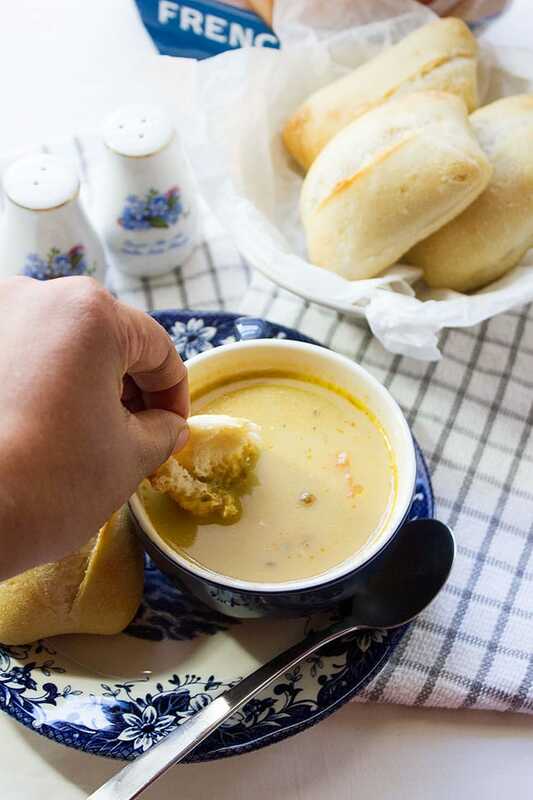 This soup is a time and life saver when you are busy preparing different meals for a special occasion and you don’t have much time. Lentil vegetable soup can come to the rescue. 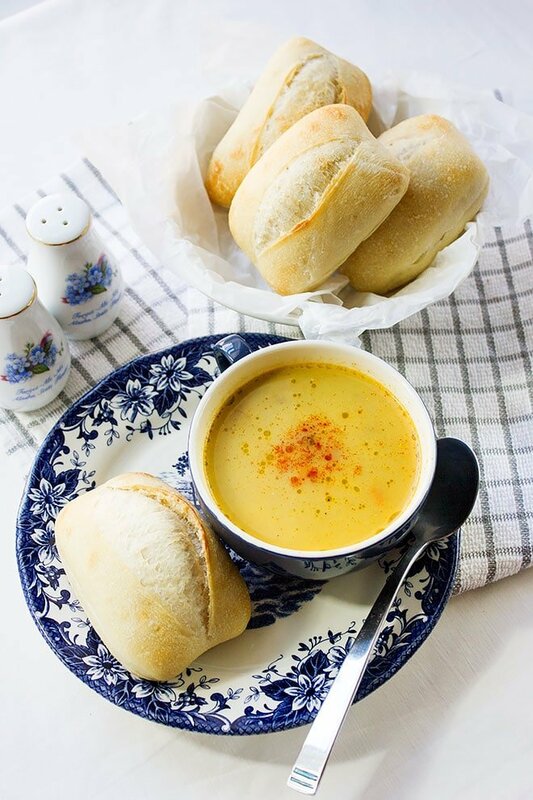 Lentil vegetable soup is a crowd pleaser and tastes extra awesome with some baked rolls on the side. 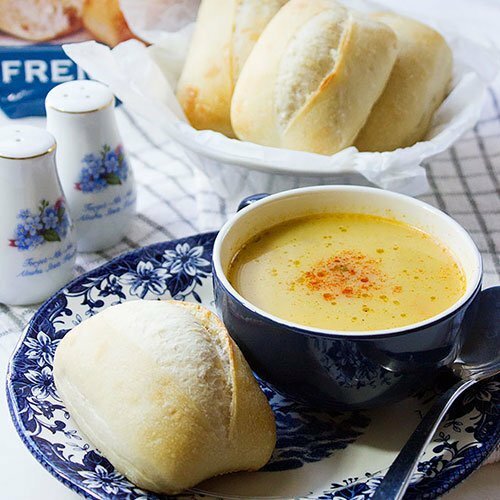 Besides this easy to make soup, there are Pepperidge Farm Stone Baked Artisan Rolls that are hand-scored and are baked on traditional baking stones. 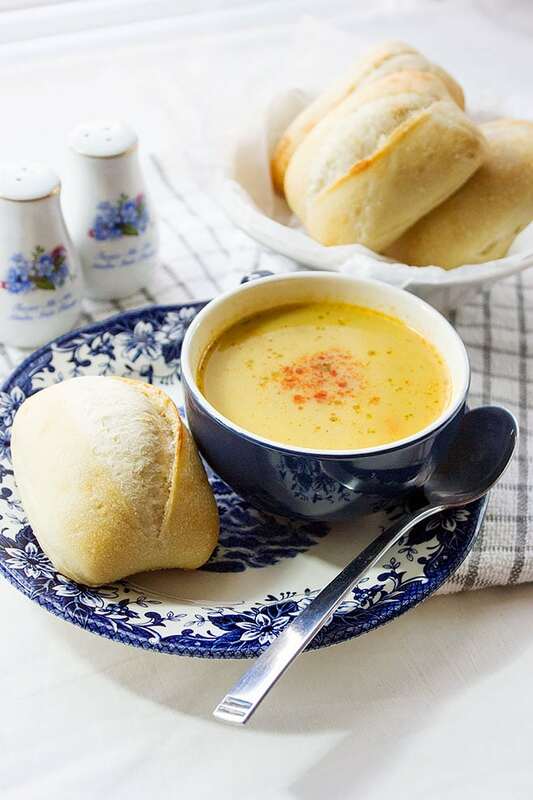 These rolls went so well with the lentil vegetable soup, wonderfully textured rolls have a crisp, golden crust and are light and airy from the inside have no artificial preservatives and can be a great addition to your dinner table. 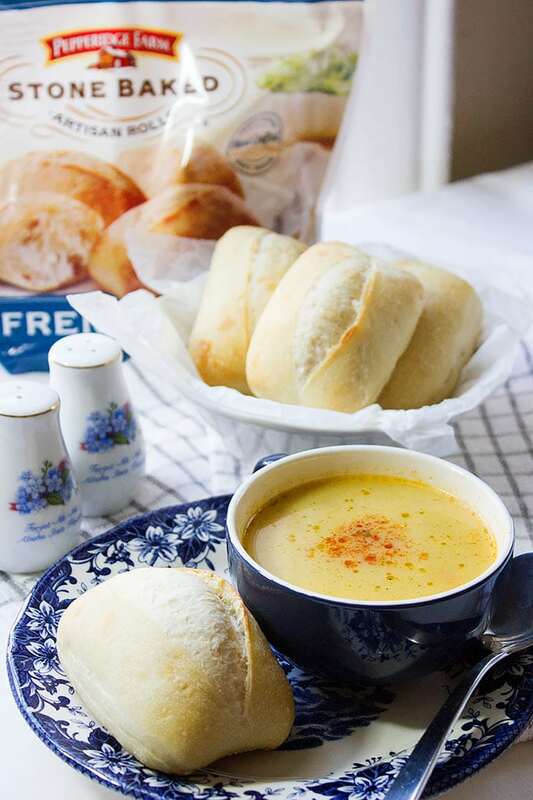 Making the soup will take around 18 minutes and baking these rolls takes around 9 minutes. 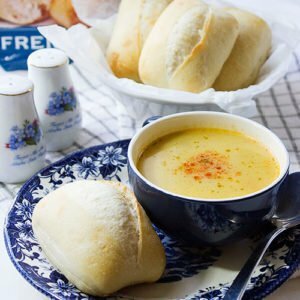 As you can see both soup and the rolls will be ready in a very short time. Pepperidge Farm has a range of products that can help you save time and create great meals and snacks. To make the lentil vegetable soup I have used the vegetables my family and I prefer, of course, you can create your own version, omit or add your favorite vegetables to this soup. I have also used chicken stock but you can convert this recipe into vegan and use vegetable stock instead. Get $1 off coupon and try your hand at different recipes and holiday meal hacks by visiting Pepperidge Farm. If you made this soup make sure to let me know in the comment box below. 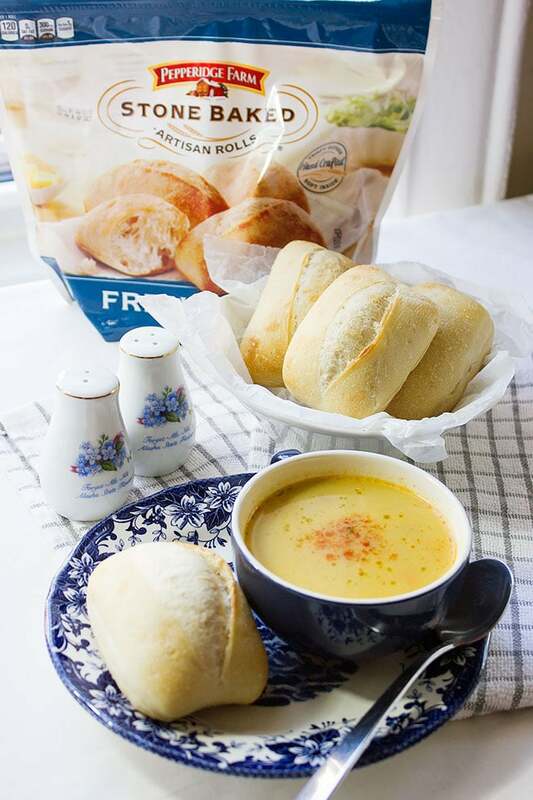 Now, let’s make a hearty soup that will keep us warm and satisfied with some tasty rolls on the side. In a saucepan, add the soaked and drained green lentils. Add enough water to cover the lentils and let it come to a boil. Cook for 11 minutes. Drain the lentils and keep aside. 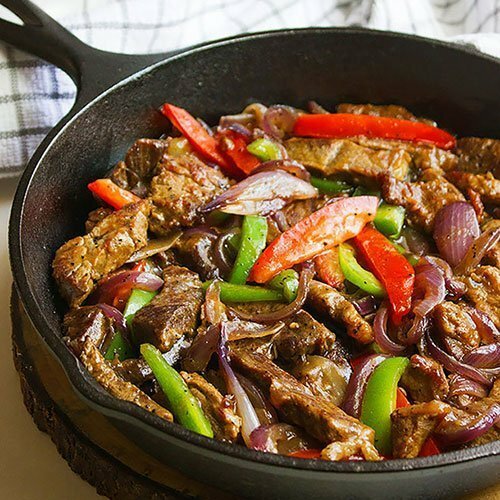 In a pan, add oil and when hot add the mixed vegetables. Sauté for three minutes. Add the lentils and stir for three minutes. Add all the spices and salt and cook on medium heat for three minutes. Add the stock and let the soup boil on medium-low heat for 10 minutes. 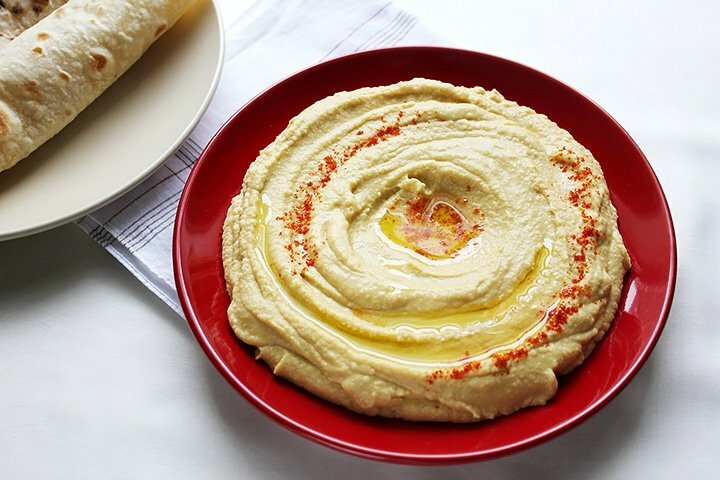 Take half of the soup and place in a blender. Blend until smooth and add it back to the soup. Stir for two minutes on medium high. Place the rolls on a baking sheet and bake for 9 minutes. Serve hot. Lentil soup is one of my favorites – so warm and cozy!